Rock the vote! In 1874, cartoonist Thomas Nast, drew a donkey in lions skin, scaring away all of the animals at the zoo. One of those animals, the elephant was labeled "the Republican Vote". The rest is history and that elephant still remains the Republican icon today. 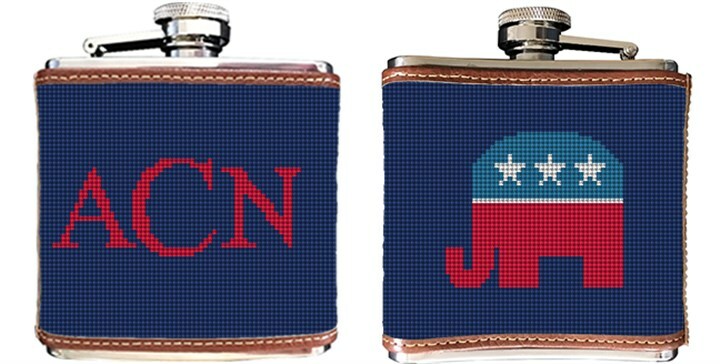 Show your Republican support with our Republican needlepoint flask.